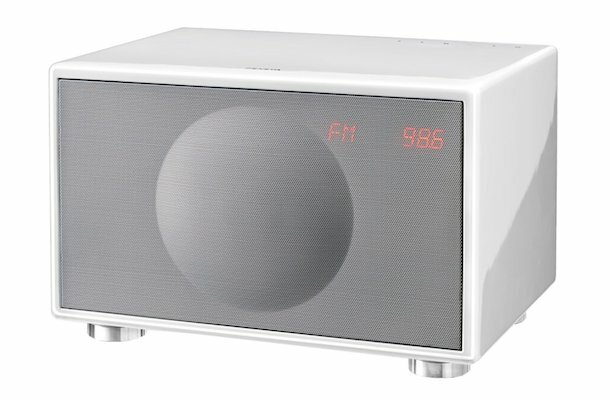 Geneva announced the WorldRadio, which can receive both FM and digital (DAB+ version, Europe only) radio stations, and can wirelessly stream your favorite Internet radio stations from any Bluetooth-enabled smartphone, tablet or laptop. Other audio sources can be connected via the 3.5 mm line input. 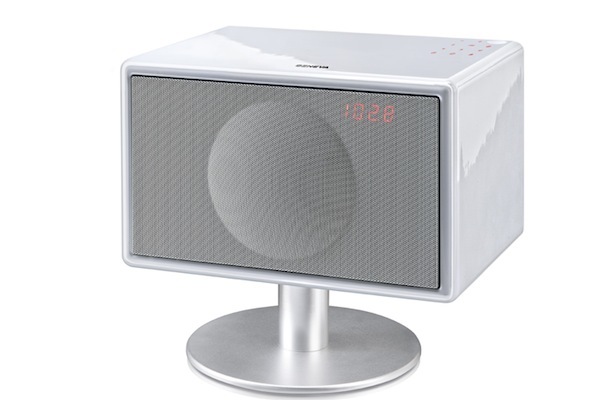 The rechargeable Lithium Polymer battery provides 6 hours of music playback. 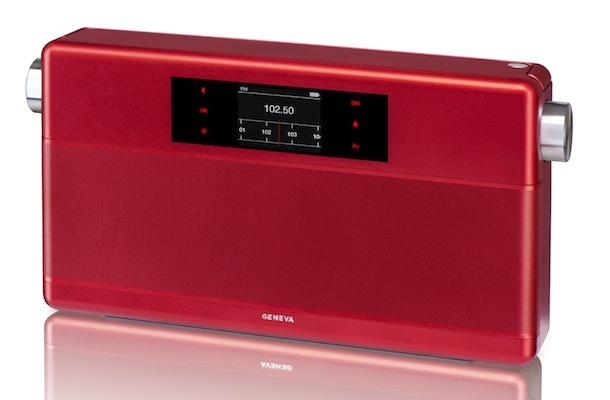 Geneva WorldRadio features a powerful audio system, digital color display with touch controls, digital FM tuner, Bluetooth receiver, and alarm clock, all contained within an elegant, streamlined chassis with aluminum handle and tuning controls. 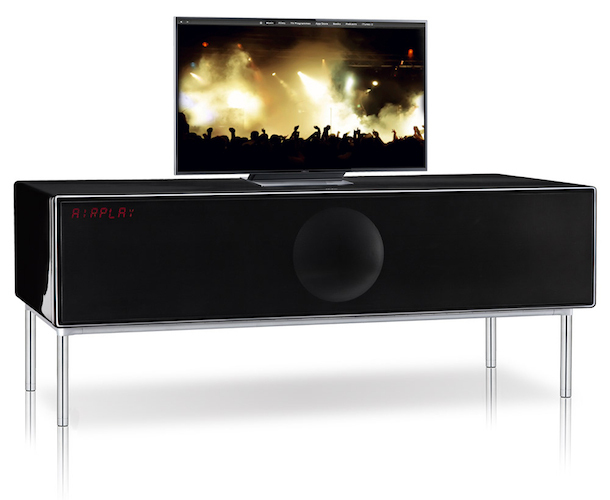 This high-performance amplifier and full-range loudspeaker play mid and high frequencies with absolute accuracy, and produce warm, rich bass below 80Hz. 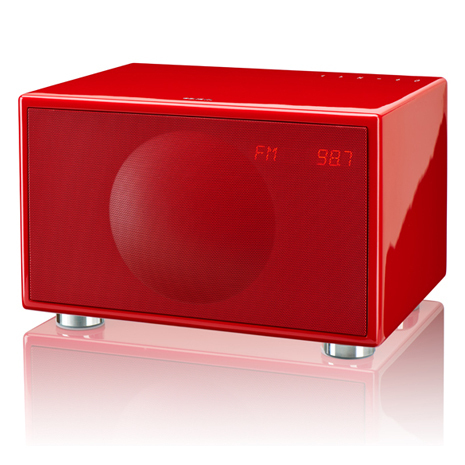 The Geneva WorldRadio will be available December 2012 in a choice of 3 metallic finishes: silver, red, and black for $299.95 at genevalab.com and select retailers.